Hey everyone! 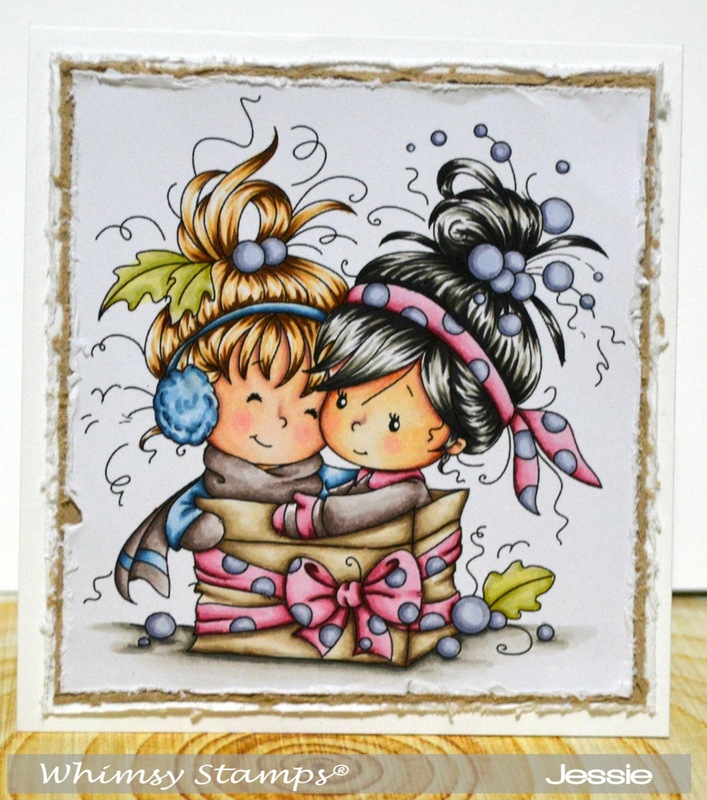 Today I have a sweet little card featuring Friendship is the Greatest Gift from Whimsy Stamps! I am not ready for winter to hit yet, although its suppose to be 34C where I live today! I pulled out an oldie, but a goodie! Friendship is the Greatest Gift, is such a sweet image! I left it super simple wit a mall card 4 x 4 1/4 is great for gift cards and things and I love making these CAS cards with only an image on the front!